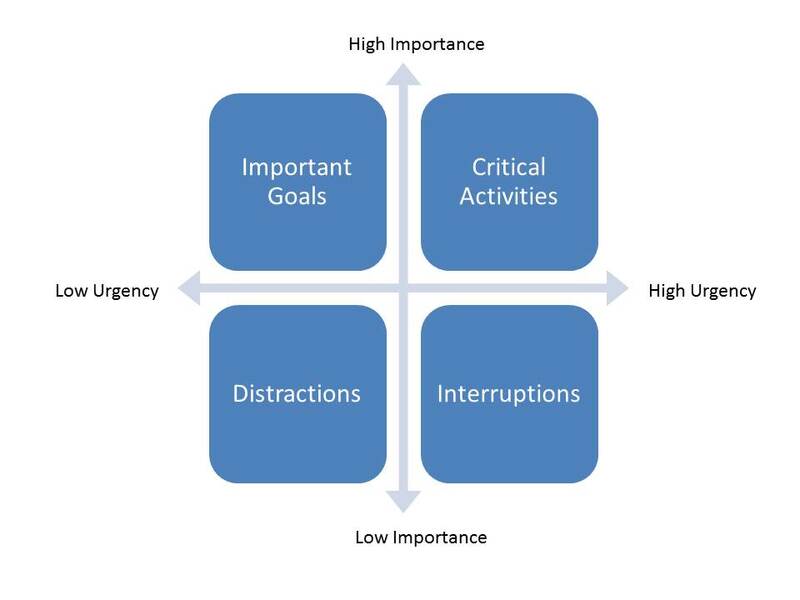 I read Stephen Covey’s “7 Habits” when it came out in the 90s and found the Urgent/Important Matrix very useful when dealing with competing priorities. I drew the matrix on a piece of paper and pinned it to the board in my cubicle. After a while my colleagues and boss got used to my pointing to it whenever they dropped by with something new to add to my long list. It worked like a charm, a charm that warded off trivial busyness. Today I don’t have to rate everything on my to-do list but I haven’t forgotten the method I learnt from Covey. I would give each task or issue a rating from 1 to 5 on the ‘important’ scale and then assess how urgent the high scoring activities were. Once I had the discipline internalised I no longer needed the matrix. Previous Post Why project portfolio management software implementations struggle to deliver – Is it a 3 legged stool with 2 wonky legs?